I made this icons using Gnome default icon set. I would like to thank Gnome Project (http://www.gnome.org) for supplying such cute icons. This is collection of icons from Gentoo Linux and others from AOS4 and other Amiga programs for use in Amidock. Quality is not the best because they where made with a quick copy and paste over an empty bubble image. The format is PNG so you'll need PowerIcons installed. Enjoy. A small collection of icons for Quake. 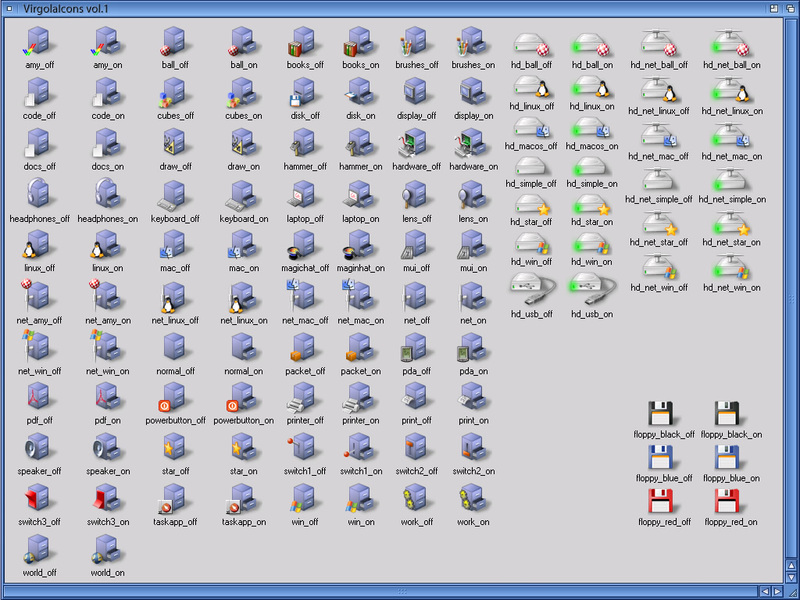 This is an archive with disks and drawers icons in PNG format (powericons) inspired by the original amiga set.